Dr. Shindo received his Doctor of Engineering from Tohoku University in 1977. He is currently a President of Tohoku Polytecnic College and an Emeritus Professor of Tohoku University. Dr. Shindo also served on the Board of Editors of International Journal of Solids and Structures and as the Editor in Chief of Journal of Mechanics of Materials and Structures, and is currently serving as the Editor in Chief of The Open Mechanical Engineering Journal and the Editor in Chief of International Journal of Metallurgical & Materials Engineering. His primary research interests are in the areas of mesomechanics of material systems and structures, electromagnetic fracture and damage mechanics, dynamics and cryomechanics of advanced composite materials/structural alloys, and reliability and durability of micro/nano components and devices. Ph.D. in Mechanical Engineering at University of Naples, IT. Master in Business Administration (MBA) at the school “Stoà” in Naples. Associate Professor of Machine Design in the Department of Industrial Engineering - University of Salerno. Visiting Researcher at Wessex Institute of Technology, Southampton (UK) and at Queen Mary and Westfield College, London (UK). Main investigator and member, in several national and international research activities. He has published nearly 120 technical papers on international peer reviewed journals and conference proceedings. He is member of the editorial board of the journal "Advances in Engineering Software" and Associate editor for this journal. Dr. Zhao obtained a doctorate (Ph.D.) in Mechanical Engineering from the Tsinghua University, Beijing, China. Dr. Zhao has published more than 70 scientific publications and is a named inventor of more than 20 issued China patents. Dr. Zhao is currently the Regional Editor for Asia of this journal, published by Bentham Science Publishers. Dr. Thai received his PhD in Engineering from Sejong University in 2010. Prior to joining La Trobe University, he was an Australian Research Council Discovery Early Career Researcher Award (ARC DECRA) Fellow and Research Associate at The University of New South Wales, and a Postdoctoral Fellow at Hanyang University and Sejong University. He is a member of Standards Australia Committee BD-032 on Composite Construction. He is also Associate Editor for Shock and Vibration. Sergio Baragetti is full professor of machine design and computational mechanics at the Università degli Studi di Bergamo - Italy. He is the Director of GITT - Centre on Innovation Management and Technology Transfer and the Structural Mechanics Laboratory of the University of Bergamo. His research activities include numerical and experimental study of the effects induced by surface treatments on the fatigue behavior of mechanical components, the corrosion fatigue mechanisms in aqueous environments, the study of the surface thin hard coatings effects on the fatigue, contact fatigue and corrosion fatigue behavior of mechanical components, Components and structures analysis. Dr. I. Shekriladze has graduated from Georgian Polytechnic Institute (Tbilisi, Georgia) as thermal power engineer. He defended a thesis of Candidate of Technical Sciences in Krzhizhanovski Power Institute (Moscow) and a thesis of Doctor of Technical Sciences in Bauman Moscow Highest Technical School. He headed the Laboratory of Thermophysics in the Institute of Stable Isotopes (Tbilisi, Georgia) and the Department of Thermophysics in the Georgian Technical University. R&D activities of Shekriladze cover condensation and boiling heat transfer, heat pipes, technology of stable isotopes, energy problems, including renewables, and some topics of hydrodynamics and atmospheric physics. Dr Hui Tong Chua, is Professor of Mechanical and Chemical Engineering and the Chemical Engineering Program Chair at the University of Western Australia. His research interest covers Heat and Mass Transfer, Thermodynamics, Process Engineering and Waste Heat Utilization. 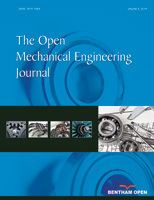 Seven of his journal articles are among the top 1% percentile in the field of Engineering in terms of citation. His key research achievements include the spinning off of his catalytic methane cracking technology, now known as the Hazer Process, as Hazer Group Ltd., which raised $5m in their Initial Public Offering on the Australian Stock Exchange (ASX:HZR) in November 2015. Dr. Hosni Abu-Mulaweh received his B.S., M.S., and Ph.D. degrees in mechanical engineering from Missouri University of Science and Technology in 1984, 1987, and 1992, respectively. Currently, he is a professor of mechanical engineering at Indiana University-Purdue University Fort Wayne (IPFW). His research interests include heat transfer, thermodynamics, and fluid mechanics. Dr. Abu-Mulaweh is the author or co-author of over 100 technical publications, and in recognition of his outstanding research accomplishments, was named a 2011 IPFW Featured Faculty. Dr. Abu-Mulaweh serves on several journal editorial boards, scientific committees for international conferences, and professional society technical committees. Dr. Hafiz Muhammad Ali received his PhD (2011) in Mechanical Engineering from Queen Mary University of London, UK. He then joined Mechanical Engineering Department of University of Engineering and Technology, Taxila, Pakistan, where he has been teaching to undergraduates and postgraduates. He worked as postdoctoral fellow (2016) at Mechanical Engineering Department of University of California, Merced, USA. His main research areas are condensation, boiling, nanofluids, phase change materials, thermal systems, desalination and solar energy. He is a member of Editorial Boards of Journal Thermal Science, Strojniški vestnik – Journal of Mechanical Engineering, Journal of Thermal Engineering and Journal Mechanical Engineering Research. Dr. Jose Dario Aristizabal-Ochoa obtained his M.S. and Ph.D. degrees from University of Illinois, Champaign-Urbana, USA. Dr. Aristizabal-Ochoa is currently Full Professor at National University of Colombia concerning the following areas: analysis of structures, design of structures, structural Stability and dynamics, prestressed concrete members, and steel buildings. His latest awards, among many others, are: (1) Outstanding Researcher (Jun 2008) at School of Mines, National University of Colombia; and (2) Recognized reviewer (Jul 2014) for Engineering Structures, ELSEVIER. Dr. Aristizabal-Ochoa has authored/co-authored more than 85 publications (mainly in the areas of Engineering, Materials Science, Physics and Astronomy) in various international journals, having over 1,025 total citations. Viktor P. Astakhov earned his PhD in mechanical engineering from Tula State Polytechnic University, Tula-Moscow, Russia, in 1983. He was awarded a DSc designation (Dr. Habil Docteurd’État) and the title “State Professor of Ukraine” in 1991 for his outstanding service during his teaching career and for the profound impact his work had on science and technology. He has won a number of national and international awards for his teaching and research projects. In 2011, he was elected for the SME College of Fellows. Dr. Astakhov currently serves the tool research and application manager of the General Motors Business Unit of PSMI and Professor, St. Petersburg State Polytechnic University, St. Petersburg, Russia. As a professor, he has been involved in supervising graduate students at Michigan State University. He has authored a number of books and has published monographs and textbooks, book chapters, and many papers in professional journals as well as in trade periodicals. He also serves as the editor in chief, associate editor, board member, reviewer, and advisor for many international journals and professional societies. Mohammad Reza Barati received his degrees from Amirkabir University of Technology, Tehran, Iran and Imam Khomeini International University, Qazvin, Iran. His research interests are Mechanics of Nanostructures; Mechanics of smart structures, functionally graded materials and structures, and modelling and mechanical analysis of smart and multifunctional nanostructures. He is the author of more than 100 papers in international journals including Composite structures; journal of vibration and control; Applied physics A; Journal of Intelligent materials and Structures; Smart Materials and Structures; Journal of Thermal Stresses and Mechanics of Advanced Materials and Structures. Dr. Cesare Biserni has a degree in Electrical Engineering and a Ph.D. degree in Nuclear Engineering. The honours and awards, which Dr. Biserni received, include the UIT Prize for the best Ph.D. thesis and the ASME (American Society of Mechanical Engineering) Award for Outstanding Reviewer (2012). He is currently an Associate Professor affiliated with the Department of Industrial Engineering, University of Bologna, Italy. His research interests include Computational Thermo Fluid Dynamics, Constructal Theory, Energy Saving in Buildings, and Thermal Comfort. He has been involved in the publication of more than 40 articles in various international journals. Francesco Calise is Associate Professor at the University of Naples Federico II. His research activity has been mainly focused on the following topics: and many others. He was invited lecturer for some courses or Conferences (UK and Finland). He teaches several courses of energy management and applied thermodynamics at the University of Naples Federico II for BsC, MS and PhD students. He was a supervisor of several Ph.D. degree theses. He is a reviewer of about 30 international Journals. He was involved in several Research Projects funded by EU and Italian Government. He is Associate Editor of 4 International Journals. He was a Conference Chair and/or member of Scientific Committee in several session of International Conferences. Prof. Chan obtained his PhD degree in Manufacturing Engineering at Hong Kong Polytechnic. Currently, he is Director of Advanced Manufacturing Technology Research Centre and Head of Department of Industrial and Systems Engineering of The Hong Kong Polytechnic University. His main research interests include advanced materials processing technologies, bulk metallic glasses and composites. He has published more than 220 journal papers. He was Editor-in-Chief of Hong Kong Institute of Engineers (2011-2016). Currently, he is also an editorial board member of Scientific Reports, Metals and Advances in Mechanical Engineering. Dr. Shaohua Chen obtained Ph.D. in Solid Mechanics in 1999 from Beijing Jiaotong University, Beijing, China. Now, he is a full professor and the director of Institute of Energy, Optoelectronics and Biomimetic Materials and Devices, Institute of Advanced Structure and Technology, Beijing Institute of Technology. He achieved National Outstanding Youth Fund of China in 2011 and has published more than 110 scientific publications and two monographs. He is also the member of editorial board of Acta Mechanica Sinica (in Chinese) and Acta Mechanica Solida (in Chinese). Dr. Cimenoglu obtained a doctorate (Ph.D.) in Metallurgical Engineering from the Istanbul Technical University, Istanbul, Turkey. Dr. Cimenoglu also holds an B.Sc. degree in Mechanical Engineering from the Yıldız Technical University Istanbul, Turkey. Currently Dr. Cimenoglu is also a Professor in the Istanbul Technical University. He has published more than 100 scientific publications and is a named inventor of 2 issued Turkish patents. Alberto Doria received the Laurea degree (honors) in Mechanical Engineering from the University of Padova (1984). Then he joined the Italian Research Authority, becoming member of the design group of RFX, an Euratom fusion experiment. He received the degree “Perfezionamento in Ingegneria del Plasma e della Fusione Termonucleare Controllata” from the University of Padova (1987). Alberto Doria in 1990 joined the University of Padova and carried out researches in vibrations and two-wheeled vehicles. In 2002 Alberto Doria became Associate Professor of Mechanics of Machines. The present research activities are: dynamics of light vehicles; modal analysis and identification; vibration energy harvesting. Dr. Sunando DasGupta obtained his Ph.D. degree (1994) in Chemical Engineering from Rensselaer Polytechnic Institute, Troy, NY, USA. Since 2004, he is Professor of Chemical Engineering at Indian Institute of Technology (IIT KGP), Kharagpur, India. He is also Dean of Sponsored Research & Industrial Consultancy at this same institute (since 2013). His skills and expertise are in the following areas: Microfluidics, Microfluidic Engineering, Microfluidic Chip Development and Manufacturing, Separation Techniques, Miniaturization, and Digital Microfluidics. Dr. DasGupta has authored/co-authored over 140 article publications in various journals, having a significant number of total citations, i.e. over 3,470. Kai-Long Hsiao has working at Taiwan Shoufu University as an Associate Professor. He received his M.S. degree from the Graduate School of Mechanical Engineering, Department of Chung Cheng, and Institute of Technology in 1982 and obtained his Ph.D. degree from the Graduate School of Mechanical Engineering, Department of Chung Yuan, Christian University in 1999. His research interests include energy, digital communication, information and multimedia, fluid dynamics, heat transfer, solar energy, and signal processing. Hsiao have served as some Journal’s Editors, reviewed more than one thousand papers and published more than eighty papers. Dr. Khoo obtained a doctorate (PhD) in Mechanical Engineering from MIT in 1989. He holds a Master of Engineering (MEng) from the National University of Singapore (1984) and the BA Hons. from University of Cambridge (1980). He has published more than 300 International Journal papers and an equal number of International Conference papers in Proceedings. He has been invited to present at close to 100 invited/keynote/plenary lectures at International Conferences/Symposiums/Workshops. He is the Associate Editor of Communications in Computational Physics (CiCP) and Advances in Applied Mathematics and Mechanics (AAMM), and sits on the Editorial Boards of American Journal of Heat and Mass Transfer (AJHMT), International Journal of Intelligent Unmanned Systems (IJIUS), Ocean Systems Engineering (IJOSE), and The Open Mechanical Engineering Journal (OME). Dr. Feng C. Lai obtained his Ph.D. in Mechanical Engineering from the University of Delaware. Currently He is Anadarko Presidential Professor in the School of Aerospace and Mechanical Engineering at the University of Oklahoma. He has published more than 170 scientific publications. Dr. Lai is a Fellow of American Society of Mechanical Engineers (ASME) and an Associate Fellow of American Institute of Aeronautics and Astronautics (AIAA). He currently serves as an Associate Editor for the AIAA Journal of Thermophysics and Heat Transfer as well as the Editorial Board of this journal (OPEN Mechanical Engineering), published by Bentham Science Publishers. Dr Ooi Kim Tiow is a full Professor in School of Mechanical & Aerospace Engineering, Nanyang Technological University, Singapore. He obtained his PhD in Mechanical Engineering from University of Strathclyde, Scotland, U.K. in 1990. His research areas mainly include refrigeration compressors and systems, as well as design and optimization of mechanical products. He has been bestowed with Teacher of the Year Award trice, and once with The Nanyang Award for Excellence in Teaching. In 2014, he was awarded Nanyang Award for Innovation and Entrepreneurship and has won a few international and national awards for research work. He also serves as International advisory committee member and Chairman of Academic Committee of International Conferences in UK, Europe and China. He is the holder of more than 10 patents, a co-author of a book and chapters of encyclopedias. He is a member of the American Society of Heating, air-conditioning and refrigerating Engineers. ZJ Pei is a professor in the Department of Industrial and Systems Engineering at Texas A&M University, and also a holder of TEES Research Professorship. He has served as an associate editor for three journals and an editorial board member for seven journals. He holds three patents and has published more than 140 journal articles and 90 articles in peer-reviewed proceedings. He received his Ph.D. from University of Illinois at Urbana-Champaign, and is a fellow of ASME and SME. Richard H. Rand obtained a doctorate in Engineering Mechanics from Columbia University in 1967. In that same year he became an Assistant Professor at Cornell University in the Dept of Theoretical and Applied Mechanics. He is currently a Professor in both the Dept. of Mechanical and Aerospace Engineering, and in the Dept. of Mathematics, at Cornell. His research interests lie in nonlinear dynamics and associated mathematical methods, including perturbation methods and bifurcation theory. Salvatore Russo is an Associate Professor of Structural Engineering and Director of the Laboratory of Strength of Material at Iuav University of Venice. He is author of 201 publications, including 60 published in the most important international journals. From the year 2015, he is UNESCO's expert for structural restoration, diagnosis and protection of monuments and historic constructions. Prof. Haijun Shen obtained his Ph.D. (2000) from Department of Aerocraft, Polytechnic University of Northwest. Prof. Shen is currently Professor at the School of Aeronautics & Mechanics, Tongji University, Shanghai, China. From 2003 till 2008, he was Assistant Professor at the School of Aeronautics & Astronautics, Nanjing University of Aeronautics & Astronautics. His research interests include fatigue and fracture, nano-mechanics, CAD/CAM, corrosion and protection, computational chemistry, mechanical engineering, molecular design, and aircraft stealth. He, as an author/co-author, has published more than 55 papers, with more than 215 total citations, and has also published 1 book. Marco Spiga, born in 1952 in Bologna (Italy), received his Degree in Nuclear Engineering in 1976. He is Full Professor at the University of Parma. He is involved in thermal sciences and industrial heat transfer: heat exchangers, Newtonian fluids, single and two phase flow, microscale heat transfer. He was teacher of several courses at the Universities of Bologna, dealing with “Energy Systems”, and he is teacher of “Heat Transfer” at the University of Parma. He is author of over 200 scientific papers, mainly published in international journals. He was member of the Organizing and Scientific Board of several Conferences. Prof. Luca Susmel obtained his Ph.D., Ing., Laurea in Mechanical Engineering from the University of Padova, Italy. He is currently Professor of Structural Integrity, in the Department of Civil and Structural Engineering, at The University of Sheffield, UK. Since the end of the 90s, he has been working on different aspects of the Structural Integrity discipline, by mainly focusing on problems related to the static and fatigue assessment of engineering materials and components. In particular, he has attempted to devise engineering methods suitable for designing components (experiencing different kinds of stress concentration phenomena) against fatigue as well as against static failures. Prof. Susmel has authored/co-authored over 120 article publications in various journals, having a significant number of total citations, i.e. more than 2,065. Alberto Traverso is Associate Professor of Energy Systems for Mechanical Engineering. He obtained the Ph.D. in 2004 with the thesis “TRANSEO: A New Simulation Tool for the Transient Analysis of Innovative Energy Systems”. His main field of expertise is the time-dependent analysis of energy systems, including fuel cell hybrid cycles. He is also responsible of WTEMP software development for thermoeconomic analysis of innovative energy systems. He is part of the steering committee at TPG for the Rolls-Royce Fuel Cell Systems Ltd UTC. He authored more that 150 International publications and 9 patents in the energy technology field. Dr. Tsiatas is an Associate Professor in the Department of Mathematics at University of Patras, Greece. He has authored approximately 65 scientific publications, and refereed for over 40 international journals. His work has attracted over 700 citations with an h-index of 16. He is currently serving as Editorial Board Member in several Journals and as Executive Board Member of the Greek Association of Computational Mechanics and of the Hellenic Society of Theoretical and Applied Mechanics. Moreover, Dr. Tsiatas has participated in the Scientific Advisory Committee of 2 International Conferences, and has served as Member of the ECCOMAS Young Investigator Committee. Dr. Wang obtained a doctorate (Ph.D.) in Engineering Mechanics from Harbin Institute of Technology, China. Dr. Wang is the Changjiang Professor in Beijing Jiaotong University (BJTU), China. Currently Dr. Wang is the chair of the institute of Engineering Mechanics (BJTU). He has published more than 300 scientific publications. Dr. Reitz is currently the Associate Editor of Acta Mechanica Sinica, the editorial board member of Acta Mechanica Solida Sinica, Applied Mathematics and Mechanics, International Journal of Applied Mechanics. Somchai Wongwises is currently a Professor of Mechanical Engineering, Faculty of Engineering at King Mongkut’s University of Technology Thonburi, Bangmod, Thailand. He received his Doktor Ingenieur (Dr.-Ing.) in Mechanical Engineering from the University of Hannover, Germany, in 1994. His research interests include Gas-Liquid Two-Phase Flow, Heat Transfer Enhancement, and Thermal System Design. Professor Wongwises is the head of the Fluid Mechanics, Thermal Engineering and Multiphase Flow Research Laboratory (FUTURE). Dr. Zhong obtained a doctorate (Ph.D.) in Solid Mechanics from Tsinghua University, China in 1991. He is currently a chair professor and the founding dean of School of Aerospace Engineering and Applied Mechanics at Tongji University, China. He has published more than 200 scientific papers and serves as the editor of several academic journals. His main research interests include mechanical behavior of advanced materials, smart materials and structures, structural vibration and noise, and finite element method, etc. Prof. Luciano Afferrante received his Doctor in Mechanical Engineering degree from Polytechnic University of Bari in 2006. He is currently Associate Professor in Mechanical Design and Machine Construction in the Department of Mechanics, Mathematics and Management - Polytechnic University of Bari. Coordinator and member in several national and international research activities, Prof. Afferrante has published more than 120 papers in international peer-reviewed journals and conference proceedings. He has a seat on the board of directors of PoliMech s.r.l. - spin-off of the Polytechnic University of Bari. His primary research interests are in the area of tribology, contact mechanics, friction, adhesion, biomimetics, fracture mechanics, superhydrophobicity, thermo-elastic and dynamic instabilities. Ferri Aliabadi was Professor of Computational Mechanics and the Director of Aerospace Engineering at Queen Mary, University of London (1997-2005), and Reader and Head of Damage Tolerance Division at WIT, Southampton (1987-1997). He joined Imperial College in 2015 and was head of Department of Aeronautics from 2009-17. He has 25 years’ experience in the field of Computational Structural Mechanics, and has established an international reputation for his achievements in the development of this field. He has over 400 journal publications, with similar number of conference papers. His current research interests include structural health monitoring of composite structures; Multiscale modelling of material degradation, fracture and failure; and general development of computational methods for life assessment of metallic and composite structures. Dr. Asadi was born at Tehran province in Iran in 1989. He graduated from the Amirkabir University of Technology and received his Master’s degree (Solid Mechanics) in 2011. During his PhD study at University of Alberta, he carried out several investigations about thermomechanical and facture mechanism of Photovoltaic Materials and structures. During these years, Dr. Asadi has published over 25 ISI journal articles and his publications have been cited over 500 times and his current H-index is 12. Dr. Asadi has been working as a reviewer for over 25 decent international journals. Tommaso Astarita received his master degree in Aeronautical Engineering in 1993, and a PhD in Aerospace Engineering in 1997, from the University of Napoli. He was Post-doctoral Fellow at the von KÃ rmÃ n Institute for Fluid Dynamics (Belgium 1997) and at the University of Napoli (1998-2000). He has won various fellowships and prizes over the years. He then joined the University of Napoli Staff as a researcher and now he is Associate Professor of Fluid mechanics. The main research activities are dedicated to the experimental study of problems in the fields of fluid dynamics and convective heat transfer. Giovanni Berselli (MSc in 2004, Ph.D. in 2009) is Assistant Professor in Design Methods and Tools for Industrial Engineering. He is a member of the ASME TC on Modeling, Dynamics and Control of Adaptive Systems, and IEEE TCs on Sustainable Production Automation & Mechanisms and Design. Author of more than 120 publications, he received the IEEE-I-RAS 2012 YABP Award and was invited as speaker in 12 research institutions or universities. He is (or has been) involved in several European projects (e.g. work package leader of the AREUS FP7 project). His scientific activity is focused on engineering methods for sustainable manufacturing and virtual prototyping of automatic machineries. Dr. Michele Calì obtained his Ph.D. degree (in 2000) in Structural Mechanics from University of Catania, Catania, Italy. Dr. Calì is currently Assistant Professor in the Faculty of Engineering at University of Catania. His main research activity involves Mechanics, Biomechanics, Reverse Engineering / Rapid Prototyping techniques, and Tissue (Sail cloth; Composite Materials; Microstructural Models; Computational Models). Dr. Calì, as an author/co-author, has published more than 25 articles in various journals. Hakan Caliskan is an Adjunct Professor in Department of Mechanical Engineering of Kyung Hee University in Korea, also a Director of Usak University Energy, Environment and Sustainability Research and Application Centre, and an Academic (Associate Professor) and Head of the Thermodynamics Division in the Department of Mechanical Engineering at Usak University in Turkey. He received all of his BSc, MSc, and PhD degrees with first class honor in the Department of Mechanical Engineering. He also worked as a Visiting Researcher Academic in the University of Ontario Institute of Technology in Canada, and Visiting Professor in the Teikyo University in Japan. Lingen Chen received all his degrees (BS, 1983; MS, 1986, PhD, 1998) in power engineering and engineering thermophysics from the Naval University of Engineering, P R China. His work covers a diversity of topics in engineering thermodynamics, constructal theory, turbomachinery, reliability engineering, and technology support for propulsion plants. He had been the Director of the Department of Nuclear Energy Science and Engineering, the Superintendent of the Postgraduate School, and the Dean of the College of Naval Architecture and Power. Now, he is the Direct, Institute of Thermal Science and Power Engineering, the Director, Military Key Laboratory for Naval Ship Power Engineering, the Direct of the National Experimental Teaching Demonstration Center for Naval Ship Power Engineering, and the Dean of the College of Power Engineering, Naval University of Engineering, P R China. Professor Chen is the author or co-author of over 1540 peer-refereed articles (over 685 in English journals) and 12 books (two in English). Dr Chiementin received Ph.D. degrees in Mechanical Engineering from University or Reims, France in 2007. Associate Professor in the Research Group in Engineer's Sciences - Université de Reims Champagne Ardenne. His research interests include Dynamic Structure and Sport Engineering. Main investigator and member in several national and international research activities. He has published nearly 70 technical papers on international peer reviewed journals and conference proceedings. Massimo Corcione has a M.S. degree in Mechanical Engineering and a Ph.D. degree in Thermophysical Properties of Materials. He is a Full Professor of Thermal Sciences (B.S. Mechanical Engineering) and HVAC Systems for Hospitals (B.S. Clinical Engineering). He is a member of the teaching staff of the Ph.D. course in Energy and Environmental Engineering. His current research interests include natural and forced convection heat transfer in pure fluids, mixtures and nanofluids, as well as energy efficienct optimization of HVAC systems. He is author or co-author of more than 120 scientific works on heat transfer, applied thermodynamics and acoustics. Walter D’Ambrogio received his MS degree in Mechanical Engineering and his PhD in Applied Mechanics from Sapienza University of Rome. He is a Full Professor at the Department of Industrial and Information Engineering and Economics, University of L’Aquila, Italy. He teaches Applied Mechanics (B.S. in Industrial Engineering) and Mechanical Vibrations (M.S. in Mechanical Engineering). He is member of the Doctoral School Committee in Industrial and Information Engineering and Economics. His current research interest include friction induced vibration, experimental dynamic substructuring, vibroacoustics, structural damage detection. He is author or co-author of about 150 scientific papers on international peer reviewed journals and conference proceedings. Dr. Sousa obtained a doctorate (Ph.D.) in Mechanical Engineering from the Technical University of Lisbon. Dr. Sousa has also a habilitation (Dr. habil.) in Aerospace Engineering from the same university. Currently Dr. Sousa is an Associate Professor in the Mechanical Engineering Department of the University of Lisbon. He has published nearly 100 scientific peer-reviewed publications in international journals and symposia. Dr. Sousa has coordinated several research projects and he is also a member of numerous societies, prominently the American Institute of Aeronautics and Astronautics as Associate Fellow. Professor Louis Gosselin (Université Laval, Canada) is an expert in energy efficiency, heat transfer and thermodynamics. Over the years, he has been involved in a wide range of research projects related to applications such as geothermal energy, building engineering and industrial processes, among others. He is particularly interested in multidisciplinary approaches to address challenges related to sustainable development. Dr. Kang works in the Department of Mechanical Engineering, Chung Yuan Christian University and he has been Distinguished Professor from 2011. His research interests are Vibration, Rotor Dynamics, Hydrostatic Bearing, Hydrodynamic Bearing, Lubrication, and Surface Coating. Dr. Kang obtained his Ph.D. in ME Department of Chiao Tung University, Taiwan at 1992. He has published more than 200 scientific articles and achieved more than 30 issued ROC patents. Prof. Stefanjan Kowalski obtained his Ph.D. degree (1975) in the Faculty of Mechanical Engineering from Poznań University of Technology, Poland. Since 2006, he is head of the Department of Process Engineering at this same university. His scientific interests include mechanics and thermomechanics of porous materials, chemical engineering, thermodynamics of dried materials, and sedimentation of slurry and sludge consolidation. Prof. Kowalski has authored/co-authored over 125 article publications in various journals, having total number of citations of more than 1,150. Since 2003, he is a member of the Committee for Chemical and Process Engineering of the Polish Academy of Sciences, and, since 2002, he is a member of the Polish Society of Drilling. Dr. Akira Nakayama is Professor Emeritus of Mechanical Engineering, Shizuoka University, Japan. He received his PhD in 1981 from University of Illinois at Urbana-Champaign. He joined the faculty of Shizuoka University as an associate professor in 1982 and was promoted to professor in 1994. He has been also appointed Chutian Professor of School of Civil Engineering and Architecture, Wuhan Polytechnic University, China since 2008. His research activity covers various areas such as free convection, forced convection, turbulence modeling, bioheat transfer and heat and mass transfer in porous media. He published more than 150 journal publications, 6 books and 11 monographs. He received a number of awards including JSME Thermal Engineering Research Contribution Award 2017 and ASME Best paper award 2015. Dr. George A. Papadopoulos obtained a doctorate (Ph.D.) on Experimental Fracture Mechanics from the National Technical University of Athens, Greece. Dr. George A. Papadopoulos was Professor in the National Technical University of Athens. In 2012, he was retired as Professor Emeritus at the National Technical University of Athens. He has published more than 135 publications, Conferences, book chapters and Monograph. His research interests mainly were Elasticity, Fracture Mechanics, Static and Dynamic problems of cracks, Experimental methods of Stress Analysis, Experimental method of Caustics, Moire and Photoelastic Method, Fracture of Composite Materials, Contact problems. Dr. Qiu received his Ph.D degree from Institute of Fluid Mechanics, LSTM, at the University of Erlangen, Germany in 1994. He is currently Professor and Associate Head in the Department of Mechanical and Aerospace Engineering at The Hong Kong University of Science & Technology (HKUST). Professor Qiu’s research areas are in multiphase flows and heat transfer, optical diagnostics and experimental fluid dynamics. He has published more than 130 scientific publications. He is editors and associate editors of many international journals and has received many national and international awards. Dr. Ramos-Sobrados obtained Master of Arts and Ph.D. degrees in Mechanical and Aerospace Engineering from Princeton University in 1979 and 1980, respectively, and a Doctor’s degree in Aeronautical Engineering from Madrid Polytechnic University in 1983. He has been Professor at the University of Málaga (Spain) since 1992. He is author of a book on engine modellimg and of over 150 publications in JCR journals. He is a member of the editorial board of Progress in Computational Fluid Dynamics published by Inderscience Publishers. Prof. Mohamed Abd El Hamid Seddeek obtained his Ph.D. degree (in 1996) in Applied Mathematics from Zagazig University, Zagazig, Egypt. Prof. Seddeek is currently working as Professor in the Department of Mathematics (Faculty of Science) at Helwan University, Cairo, Egypt. His skills and expertise mainly lie in the subject areas/fields of Fluid Mechanics, Computational Fluid Dynamics, Heat Transfer, Heat & Mass Transfer, etc. Prof. Seddeek, as an author/co-author, has published more than 25 articles in various journals, having over 650 total citations. Jean-Jacques Sinou holds a Master of Science in Mechanical Engineering from Ecole nationale supérieure de techniques avancées Bretagne (ENSTA Bretagne). Holding a PhD in Mechanics from Ecole Centrale de Lyon since 2002, he is Professor at Ecole Centrale de Lyon and is recognised as a world's specialist in non-linear dynamics and friction and noise induced vibration. He is currently member of the Institut Universitaire de France (IUF) that is a French service of the Ministry of Higher Education that distinguishes each year a small number of university professors for their research excellence, as evidenced by their international recognition. He is also Head of the Department of Solid Mechanics, Mechanical Engineering and Civil Engineering. Matteo Strano is Associate Professor at Politecnico di Milano, Dipartimento di Meccanica and leader of the "flexible forming" research Group at the MUSP (Machine Tool and Production Systems) lab of Piacenza. He is member of the scientific board of ESAFORM (European Association for Materials Forming) and scientific editor of the Italian technical magazine "Lamiera" (Sheet Metal). He is the author of more than 80 international scientific publications. He is an expert of flexible metal forming processes. Dr. Tomita received his Doctor of Engineering from Osaka University in 1973. He is currently an Emeritus Professor of Kobe University, an Adjunct Researcher of Doshisha University and serving as the Editorial Board Member of leading international journals. He is also Emeritus Member of JSME and JSMS, Fellow of ASME, JSTP and Member of the Engineering Academy of Japan. His primary research interests are in the particular areas of computational solid mechanics. He has made major contributions towards plastic instabilities relating to the forming/failure limit, characteristic length scale dependent phenomena, phase transformation and mechanics of polymer blends/composites. Dr. Tomasz Trzepiecinski obtained his Ph.D. (in 2006) and his D.Sc. (in 2014) both in Construction and Machine Exploitation from Rzeszow University of Technology, Rzeszow, Poland. Dr. Trzepiecinski is currently working as Associate Professor in the Department of Materials Forming and Processing at Rzeszow University of Technology. His main research areas of interest involve Modern material forming processes, Friction modeling in metal forming and tribology of lubricated surfaces, Applied mechanics in design of mechanical components, Robotization of manufacturing processes, Application of artificial intelligence in distinct aspects of tribology, etc. Dr. Trzepiecinski, as an author/co-author, has published more than 85 articles in various journals. Dr. M Turkyilmazoglu is currently affiliated to Professor of Applied Mathematics, continuing research in the specialized scientific area of Fluid mechanics, Hydrodynamic stability theory, Rotating-disk flow, High-Reynolds number flows, Triple-deck asymptotic theory of compressible viscous flows, Numerical simulation, Analytical Methods, Nanofluids etc. Dr. M Turkyilmazoglu has authored several articles along with chapters in different books related to Science & Engineeing. Prof. Wang was inducted to the Royal Society of Canada and Canadian Academy of Engineering in 2016 and 2015 respectively based on his outstanding scholarly and scientific achievements. He was awarded the exceptional alumni of Peking University 2013-2015. His more than 220 papers in international referred journals have received around 8900 with an H-value of 48 as of September 2017 as per Google Scholar Citations. Dr. Wong Teck Neng received his Ph.D. in Mechanical Engineering from University of Strathclyde, UK in 1990. He is currently an Associate Professor in the School of Mechanical and Aerospace Engineering in Nanyang Technological University. Dr. Wong’s main research focus is on spray cooling, two phase flow and heat transfer in micro-channels. Jeong Whan Yoon is currently Professor of Applied Mechanics at Deakin University, Australia and also Professor of Mechanical Engineering at KAIST, Korea. He has published over 200 technical papers for international journals and conferences with over 4000 citations (H-index: 33, Scopus). He received “2008 International Journal of Plasticity Award” for outstanding contributions in the field of plasticity. He has been serving as an “Editorial-Board” member for International Journal of Plasticity since 2008. He served as the chairman of NUMISHEET2014 held in Melbourne, Australia. He received his PhD at KAIST in 1997. Dr. Agustín Brau Avila obtained his Doctoral degree in the field of dimensional metrology from the University of Zaragoza, Spain, with the Manufacturing Engineering and Advanced Metrology (GIFMA) Research Group. Currently he is full time professor at the University of Sonora, Mexico. His research interests are in the fields of precision engineering, nonlinear optimisation, optimisation and error correction computational methods for robot and portable measuring machines kinematic calibration, contact and non-contact dimensional metrology, mechatronics, robotics, calibration and verification of production systems, micro technology and additive manufacturing technologies. He has presented his research work in both national and international conferences, and has published in journals included in JCR, in topics related to dimensional metrology. Himadri Majumder has obtained his Bachelor’s degree in Production Engineering from National Institute of Technology Agartala, India and Master’s degree in Production Engineering from National Institute of Technology Agartala, India and did his Doctorate in Mechanical Engineering Dept. from National Institute of Technology Rourkela, India. He has one year Industrial experience.He is doing research in the field of traditional and non-traditional machining processes and optimization.Currently he is working as an Assistant Professor in the department of Mechanical Engineering at G.H. Raisoni College of Engineering and Management.